The Lehigh Valley has thirsted for locally produced beer since the 18th century when the Moravians built breweries in Bethlehem and near Nazareth. According to the handwritten papers of Moravian historian Robert Rau (1844-1906) in the Moravian Archives, one of the Lehigh Valley’s first breweries was built in Bethlehem along the banks of the Lehigh River behind the Brethren’s House shortly after the Revolutionary War. Established to dilute a growing use of distilled spirits, “an evil which had grown to an alarming extent after the Revolution,” the stone brewery was finished in 1782 and the “first frothy product of the vat,” reportedly a light-colored beer, was successfully tapped on January 17, 1783. A historic foamy foundation coupled with a surge in craft breweries and a rising interest in home brewing have culminated with this year’s fifth annual Lehigh Valley Beer Week, a celebration of the area’s unquenchable desire for quality beer. From that tradition, the taps will open and glasses will be joyfully hoisted at more than 50 restaurants, bars, distributors, and breweries from Spinnerstown to Easton and many places in between to feature more than 150 beer and multicourse food pairings, brewing classes, musical performances, tap takeovers, beer dinners, bar crawls, and rare beer releases. “It’s been crazy and it’s just blown up—we have five times more breweries in Lehigh Valley than we had since we started this event five years ago,” says Jesse Albertson, acting president of Lehigh Valley Beer Week and one of the event’s founders. “Our local culture is just more aware of good beer, and with more high-end restaurants in the Lehigh Valley and a desire to drink better beer, we now have all the driving factors to bring awareness to what we have in the Lehigh Valley,” says Albertson, general manager Bar Louie in the Promenade Shops in Upper Saucon Township and former general manager of Fegley’s Brew Works. Awash in lagers, ales, pilsners, IPAs, lambics, porters, and stouts, Lehigh Valley Beer Week is a showcase for that acute awareness in all things sudsy and brings everyone together “to make it a real thing,” he adds. It took persistence, phone calls, and coordination to mobilize brewery representatives to connect with distributors to organize the first beer week. But Albertson says Shangy’s of Emmaus, which distributes local craft brews, and establishments like Porters’ Pub & Restaurant in Easton and the Spinnerstown Hotel that promote and serve it, laid the foundation for the inaugural event. “You never know if there’s interest until you put it out there,” says Albertson, noting that the Lehigh Valley had just a handful of craft breweries when Lehigh Valley Beer Week started. “We have at least eight today, and that’s a lot,” he says. Since last year’s event, three more local breweries have opened: Lost Tavern Brewing in Hellertown, Bonn Place Brewing Co. in Bethlehem and Yergey Brewing in Emmaus, which was inspired after owner Jim Yergey won Lehigh Valley Beer Week’s Be Our Brewer for A Day Competition in 2014. Craft brewers from outside the Lehigh Valley will also have products for sampling at various locations. Besides raising the Lehigh Valley’s profile as a beer destination, Lehigh Valley Beer Week also provides a boon to sales. February was designated for the beer week to give people an excuse to emerge from their homes in the dark cold of winter and warmly socialize with friends to toast what has become fertile ground for craft brewing. 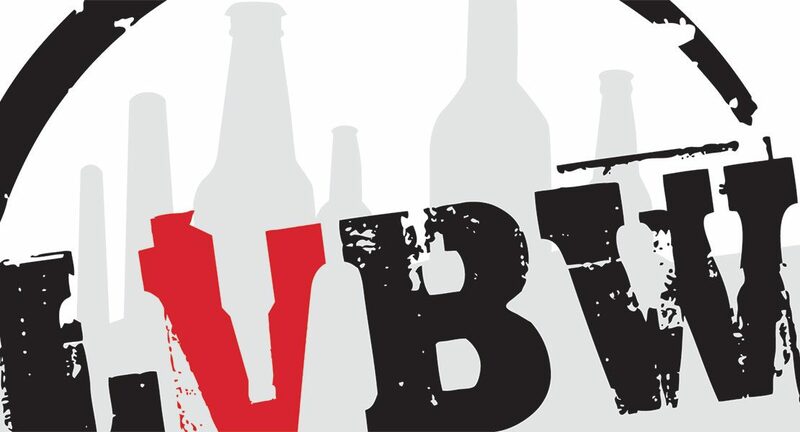 For a listing of Lehigh Valley Beer Week events, visit lehighvalleybeerweek.com.